Pioneers in the industry, we offer corporate uniform with blazer, readymade corporate uniform, corporate uniforms, female blazers, formal blazer and boys waistcoat from India. Corporate Uniforms the offered corporate uniforms are specially designed for wearing in the corporate companies and private offices. Our supplied corporate uniforms are commonly worn by the employees and workers of the corporate companies. The wholesaled corporate uniforms are easily available at very economical and affordable market selling price. Also, we customize our products' shape, size, material, neck shape, sleeves etc. as per customer requirement. Readymade Corporate Uniform offered formal uniform is specially designed for wearing in the corporate company premises. Our supplied formal uniform is widely worn by the employees and workers of the companies. The wholesaled formal uniform is easily available at very cost effective and affordable market rates. Corporate Uniforms the offered corporate uniforms are specially designed for wearing in the corporate companies and private offices. Our supplied corporate uniforms are commonly worn by the employees and workers of the corporate companies. The wholesaled corporate uniforms are easily available at very economic and affordable market selling price. 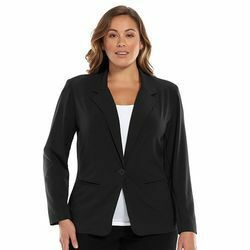 We feel proud to introduce ourselves as one of the well-known manufacturers, suppliers, and wholesalers of Female Blazers. 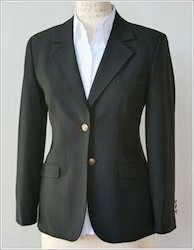 The offered female blazers are specially designed to be worn by women and girls, during winter seasons. Our supplied female blazers are made from woolen yarn, to provide warmth and comfort during the cold winters. The wholesaled female blazers are available at very affordable market rates. We are one of the well-known manufacturers, suppliers and wholesalers of Formal Blazer. The offered blazer is widely worn during the winter season, to trap the body heat and warmth. Our supplied blazer is made from woolen yarn to ensure comfort to the wearer. The wholesaled blazer is perfectly stitched and styled to provide a dignified look to the wearer. 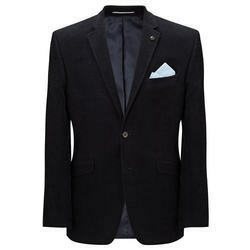 Our supplied blazer is available at very cost effective market rates. 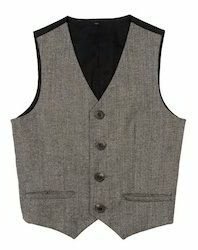 We are offering good quality Boys Waistcoat to our clients. Looking for Corporate Uniform ?